delivered with a smile by Point The Power! Your map is interesting but slightly incomplete. Some more companies left stealth-mode this year and one of the companies on your map already stopped all Power GaN developments. Indeed, the map is not exhaustive and we are always happy to gather feedbacks. This is a long-haul process to gather main players and/or all players activities. 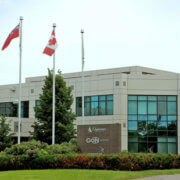 I’m sure some more companies we are not aware of, are in “stealth” mode. The topic is hot and investment are still flowing to solve the last technical issues. 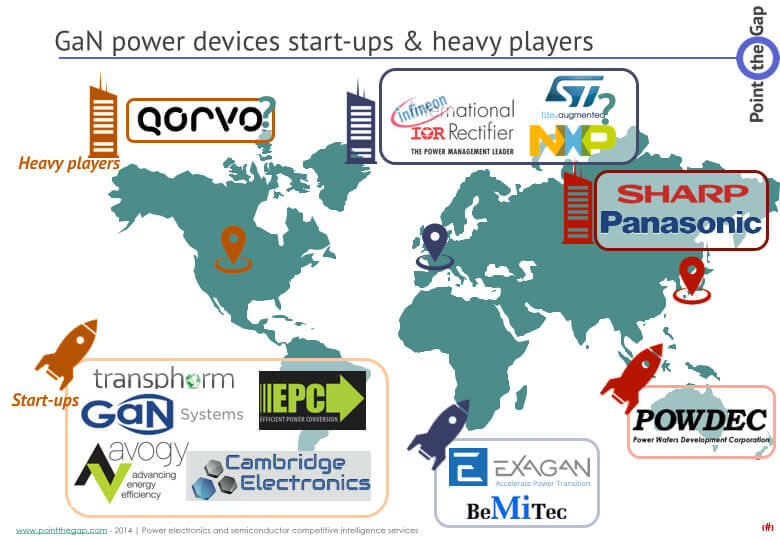 We added some “?”(question marks) on different big players’ names, as its always tricky to know wether or not they are still working on GaN for Power: ST and NXP are part of them. Don’t hesitate to ask us more about what we know using the contact form. I realize this is a relatively recent entry; anyhow, you may want to consider placing TSMC on the GaN players’ map. I believe this is justified. 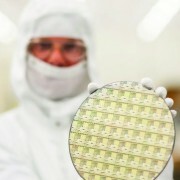 TSMC is the world largest wafer foundry, now fabricating GaN Systems’ patented “Island Technology” GaN devices. 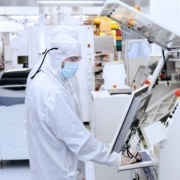 Given GaN Systems’ great choice of packaging technology, I expect the TSMC-GaN Systems collaboration will yield formidable results over time. 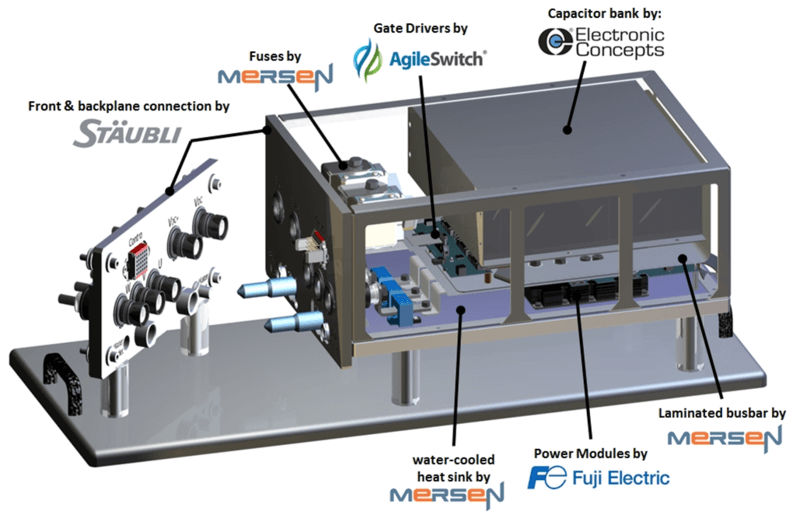 You can learn more about GaN Systems’ technology by studying LTEC Corporation’s in-depth analysis report on the subject matter. There is another startup called Navitas Semi which are working in the west coast using Gan as well. Thanks for your comment. 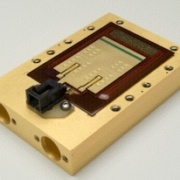 We met them and they are featured in our “Applications and markets for GaN in Power Electronics” report. 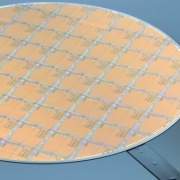 The interest in high in their strategy: They put GaN transistor and drivers together in the same IC. It simplifies the design work!